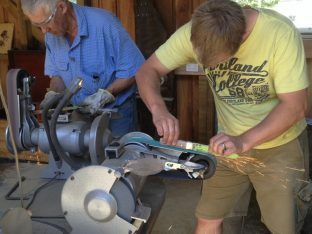 Forge your own hand made knife from raw steel to a blade you will treasure forever. N.B. It is essential that you make a booking before visiting as we are not always available. To do so please either complete the enquiry form below and we’ll get back to you as soon as possible. 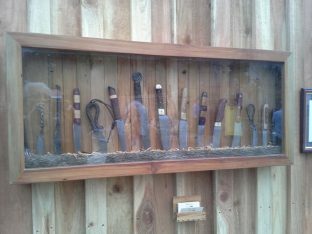 Make a Knife is run by Simon Whittaker and his family and based at the Higgins Heritage Park, a steam and traction engine museum. We are located at Higgins Park Steam Museum in Wakefield. 5 minutes from Wakefield, 15 from Richmond, 30 from Nelson and 45 from the Abel Tasman. From Nelson, follow SH6 south to the township of Wakefield (approx. 30 minutes). We are located 2kms up Pigeon Valley Road from Wakefield. Please make sure you book before turning up, we don’t live on site.